Have you seen our new floor plans for Travino Square? We’ve recently made some pretty smart updates to the Type H and Type F plans. Why? Well, we saw an opportunity to make them even better than our original design. Since Mike Geric Construction designs and builds our own projects – we can do that! 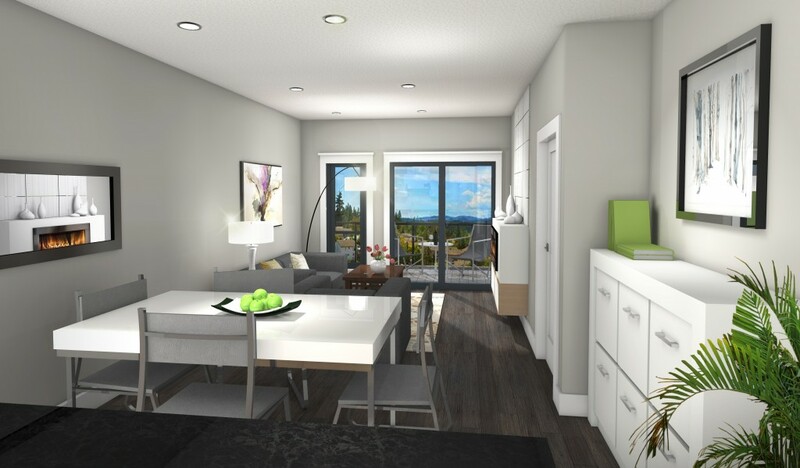 If you are looking for a comfortable home with efficient and flexible spaces plus lots of living area then you won’t want to miss on our One Bedroom+Den Type H suites (numbered ending with -08). We’ve added an extra bathroom to this spacious 898 square foot home, which also boasts a 150 square foot private patio that will get gorgeous western exposure. There’s even a penthouse – suite 607 – that will have some of the best views of the beautiful countryside surrounding Travino. If you prefer southern AND western exposure, check out the new Two-Bedroom design of our Type F suites (numbered ending with -06). These homes are almost 1,100 square feet with a 150 square foot patio that offers lots of space for outdoor living and dining. Both the F and H plans also have a sought-after feature that’s hard to come by in a new home – a spacious foyer with LOTS of closet space. Click here to see floor plans. Travino Square is now 60% sold and selling quickly. Ask our sales team about these homes today!